6.9.2013. I got up today thinking about photography, as we were scheduled for our visit to Glacier NP. I hopped on to the photo site 500px to see what the "best" photographers were up to... how did they do the classic landscapes? The images were gorgeous, dense with color and special effects. Okayyyyy.... So how did the old masters do it? 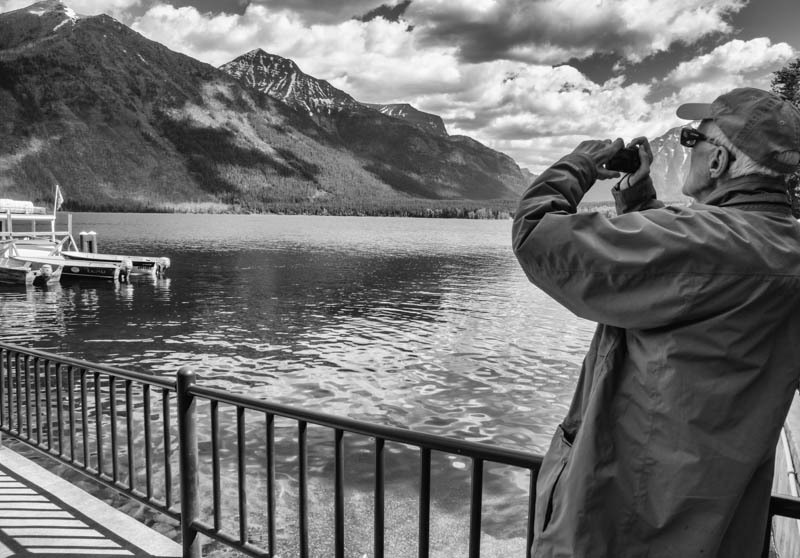 I checked the Commons on Flickr to get a look at many Glacier NP photos uploaded from the National Archives. 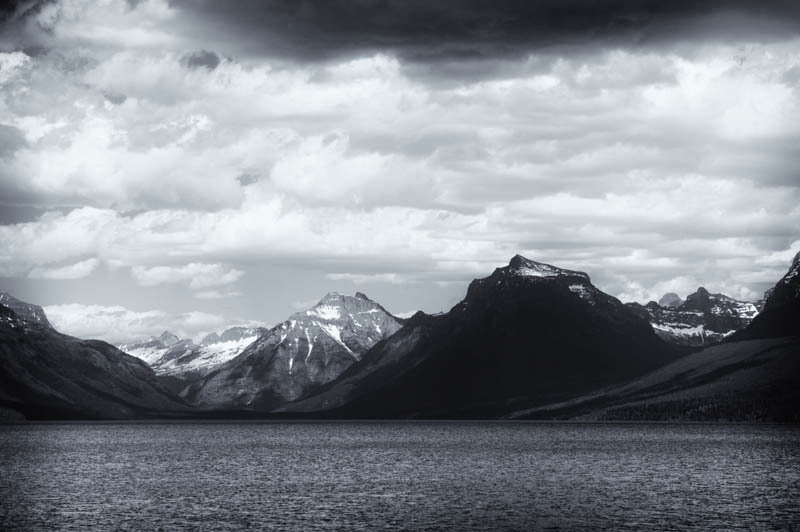 Ah yes, there's a nice one by Ansel Adams... The old ones are all in black and white, yet they seemed more serene, more beautiful than the overwrought color versions. First come the innovators. I guess in photography these were the first guys who hauled their new inventions out into the field and took a pictures of a scene all the painters loved. Probably in the 1850. Second come the masters, the "classics," who perfect the language and conventions of the genre. In America this has to be the great Western photographers -- Jackson, Savage, Curtiss... culminating with Ansel Adams. Next are the "mannerists," all us eager copycats who reduce the masters' techniques to a neat formula or course. Hey, anybody can "do" an Adams! Finally, we have the "baroque" phase: these are genuine master craftsmen and would-be artistic innovators looking for the next breakthrough. They kind of wind up being the lily-gilders. They add the curlicues and gargoyles and the virtuoso riffs on the old themes. There work is amazing, lush, and ultimately thought of as "decadent." "Baroque" is what I thought as I looked at the "best" on 500px. After all, how do you do better than Ansel Adams on a scene that's been photographed for a hundred years? How do you distinguish yourself as an artist, worthy of a gallery show, or at least a second glance on the trendy photo site? I don't need to indulge in any of that angst, except to remind myself to try rendering today's photos in black and white... to think about light rather than color for a change. And so we went off on our tours. A morning cruise on an old wooden boat on the iconic Lake MacDonald. 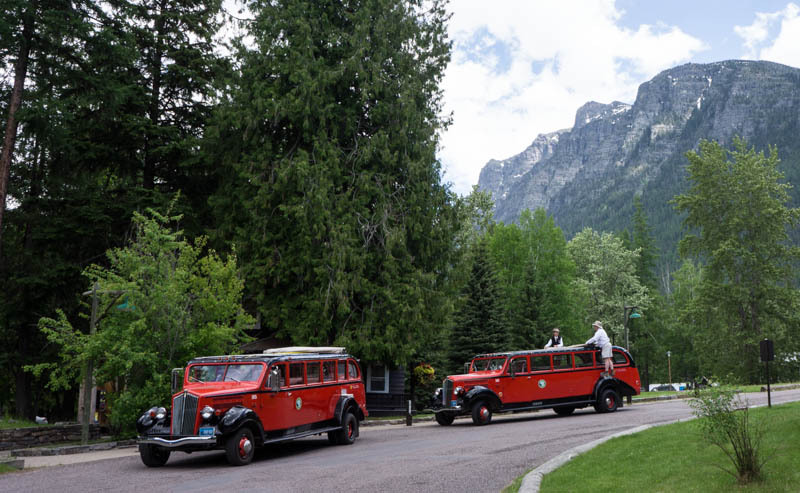 After a leisurely lunch at the classic park lodge, we boarded the classic 1937 open-air bus -- one of the original fleet of buses made for the national parks by White Motors, and refurbished by Ford Motor Company around 2002. And we snapped our photos. I'd yammer on about this and show more photos, but we didn't get back to our room till well after six. So this page is really a hurry-up-and-get-it-done effort as we chomp on room-service pizza.